Unfortunately, I didn’t have a lot of vacation this year. Therefore, today I had to fly back to the U.S. while Mom, Dad and Jeff would continue their Turkish travels to Cappodoccia and back to Greece. I was definitely jealous, but I was thankful I was able to do this trip. I woke up at 5:15 a.m. and grabbed my taxi outside for nearby Attatürk International Airport. The taxi only cost about €5. After going through security, I grabbed some breakfast. Attatürk is a very nice airport and Turkish Airlines even had the 3D gate agents that welcomed you to some of the gates. After killing some time, I boarded my Air France flight to Paris’ Charles de Gaulle. We left at 9 a.m. and flew over the Alps, which were spectacular on this Sunday. As we arrived over Paris, the weather was a perfect fall day with not a cloud in the sky. 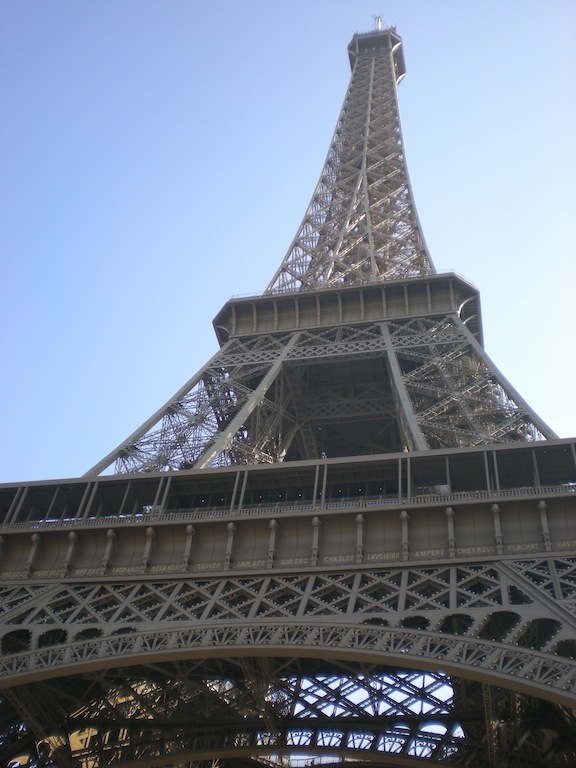 When I arrived in Paris around 11:45 a.m., I had about four and half hours during my layover. I decided to take a train from the CDG to Gare du Nord station. I had been to Paris before, but I had never been to the top of the Eiffel Tower, so I though this would be the perfect day to do it. 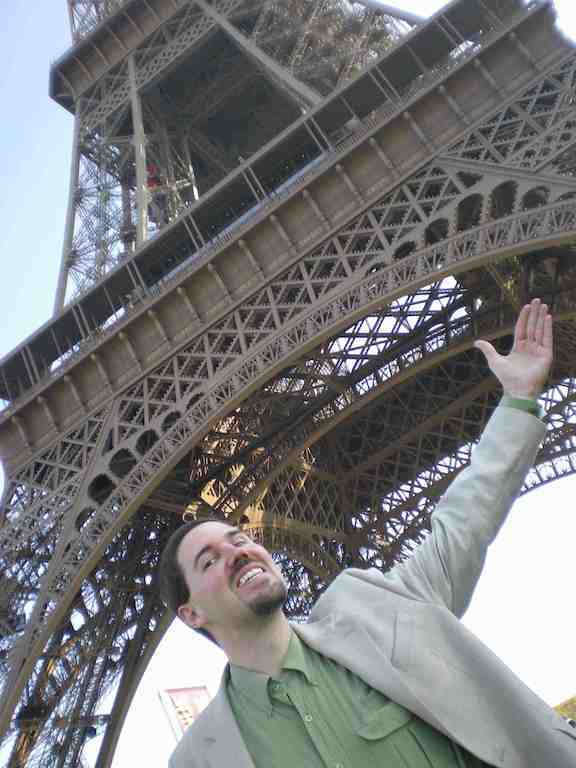 After taking the metro to the Eiffel Tower, I soon learned that the line was about 2 hours long. Foiled again! I guess others had the same idea on such a beautiful day. I decided to stroll the Champs Élysées from the Eiffel Tower. I saw the Place de la Concorde, Arc de Triomphe an the Louvre. I even walked down the Seine towards Notre Dame before heading back. Unfortunately, I missed a train so I was cutting it close. As I made it to the airport with only 45 minutes to spare, I didn’t think I would make my flight. I ran to security where I was relieved to see no lines. I was sweating and went through the check while my bag went through the scanner. They stopped the bag and kept running it back through. The head officer asked me in French to come with him. I was sweating, so I must have looked suspicious. Then I realized there must be something in bag that was suspicious. As a lady combed through my bag, she realized I was an American asked me “what is this?” It was the white-powdered Turkish delights I bought at the Grand Bazaar. I explained they were Turkish candies. They tested them out and I said they could have them. They waved me through and I thought I would barely make it to the gate. When I arrived at my gate, it was empty. However, it was the wrong gate and the monitors had it wrong! I found out from a nice Air France agent that it was in another terminal. After a fast jog, I made it just in time for last call for the 16:45 p.m. departure. Wow, that was cutting it close and I was sweating heavily! However, it was a memorable way to finish the trip by getting to see Paris again briefly.